According to Buccaneers own Joe Kania, the Buccaneers all-time rushing/ receiving leader, James Wilder Sr., will be inducted into the Missouri Sports Hall of Fame, On November the 6th. Also, noted by Kania was the fact that in 1976 Wilder Sr. lead Sikeston Highschool to an undefeated season and set school records for single-season, and career rushing and held the career rushing record until 1987. 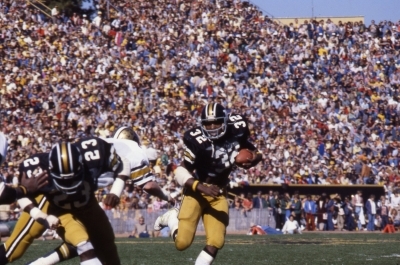 Following his high school career, he went on to play for the University of Missouri where he led his team to three Bowl games. He is the Bucs All-time leading rusher with 5957 yards. He also had 37 Touchdowns and 14- 100-yard games. Doug Martin sets his sights on Buccaneers rushing marks. John Lynch and Simeon Rice are again nominated for this year’s Hall of Fame. Next articleA must win Monday?